Here is my first try at the Zindorf technique, while it is not great, it gives me the idea of how fun it is, but I did learn to wear gloves, ot I will have all colors of fingers LOL!! Thanx for visiting my blog!! These are gifts for my hostesses from the last stamp club. They are post it note holders, great to carry in yourpurse or even in the glove box of your car, never be without something to write a note on. This is another Dawn project she shared. Thank You Dawn!! When we end, in their last order I give them a present from me, usually something I make, and these ar what I came up with. This last club was only me and 3 other ladies, t hey wanted to go again and I didn't have any takers through the summer, so we were a group of 4, but a fun group it was. 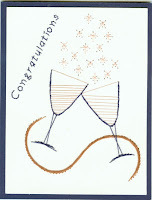 This is a wedding card I made for some friends that got married over t he weekend. I can say I have a new addiction, went yesterday and got the rest of the colors to go with my inks/papers and even added the new IN COLORS soI am ready to handle anything. Thanx for visiting my cyber world. Here is a chance to get an exclusive double sided rubber stamp, 4 white note cards with envelopes, one stampin spot in Always Artichoke, all packed in a clear reusable box, with your PAID subscription of Country Living. Just 12.00 (75% off what others pay on the newsstand) for a whole year, that is $1.00 per issue that's like getting 9 issues FREE. 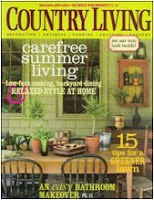 Country Living will include the exclusive Stampin' Up! mini stamp kit. 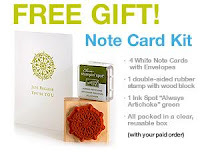 Use it to design note cards, menus and anything else that inspires you! Click here to subscribe. OK, after doing the other, I went looking for a pattern both free and ones to buy. I found this knowing my grand daughter likes The Little Mermaid and her birthday is on Wednesday, so I chose to do this one. took me about 1 hour 15 min, so not bad at all, I could of spent 3 hours on a stamped card and this was fun. 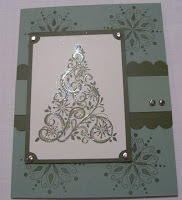 I luv stamping, but we all look for something different from time to time. I used the color chart for the DMC thread matching our cardstock and it worked out jsut great. Yesterday I did an event with my one and only downline, there was a lady there that did stitching cards and she showed us how to do one. I finished mine this morning and thought it was beautiful. These kind of cards I only make for special family members, but thought I'd share with my cyber followers. The other day I really wanted to do a no brainer for me I wanted to play but didn't want to have to think about it, so off I went and saw a card on Dawn's Blog thought it was pretty so here is my take on it. Sparkly is Christmassy so hope you enjoy. 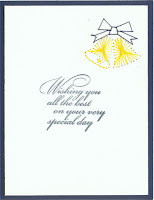 Here is a sample of a set of cards made with the Simply Scrappin Kit called I Wish. 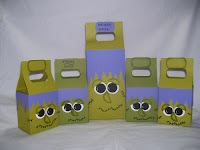 This is a great set, after you send out all your cards, you can use the box to put a gift in. I will be offering this as a class. If you are interested in this class, please email me at suzeqscraps@gmail.com. Date and time are yet to be determined. If you would like to purchase this kit, I will be taking orders til October 1st and shipping them on October 15th. 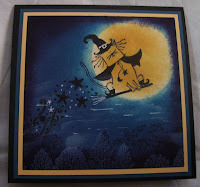 This kit will come all precut and any stamping will be done. You will then just follow the guidelines and assemble the cards at your convience. Cost for this kit is 30.00 which includes shipping. If you are interested, please email me with your paypal address and I will send you an invoice. I sure like to visit her blog as she has some great ideas. I wanted a christmas one on this concept, so after sitting for 3-1/2 hours playing and this being the 4th one, I finally got what I was looking for. 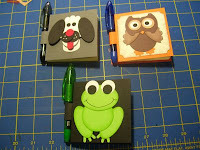 Thanx Dawn for all your hard work on your tutorials, I just love them.